I love weekend breakfasts. There’s something about a hot cup of coffee (I’ve been loving Green Mountain’s pumpkin coffee lately!) 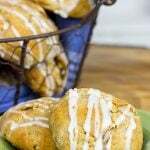 and a delicious baked treat that makes me want out of bed and get the day started. (During the week I usually stick to yogurt and granola…which is delicious, but it just can’t top a special weekend breakfast yum.) As I’ve mentioned many times in recent posts, we are in the midst of apple season here in upstate NY. And with all of the apple-related recipes coming out of my kitchen lately, you might think I’d be over apples by now. Nope. Not even close! I’ve always been a fan of stuffed French toast, so this past weekend I pulled out the griddle and made this delicious Cinnamon Apple Stuffed French Toast for breakfast. 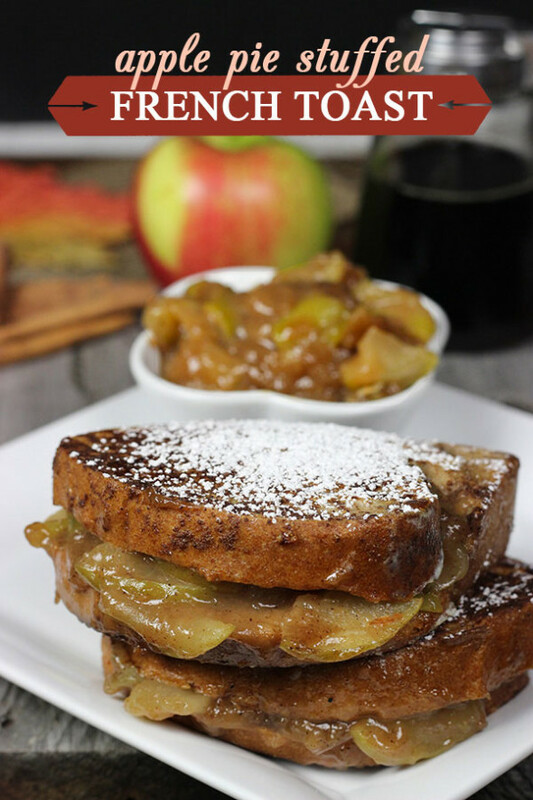 The beauty of this Cinnamon Apple Stuffed French Toast recipe is that it really is quite easy to make. The apple filling can be made in advance, or if you’re really short on time, you can use canned pie filling. I’ve seen stuffed French toast in the past that features two slices of French toast with delicious filling in between. But I’ve always been confused by this. That’s like a French toast sandwich, not stuffed French toast. 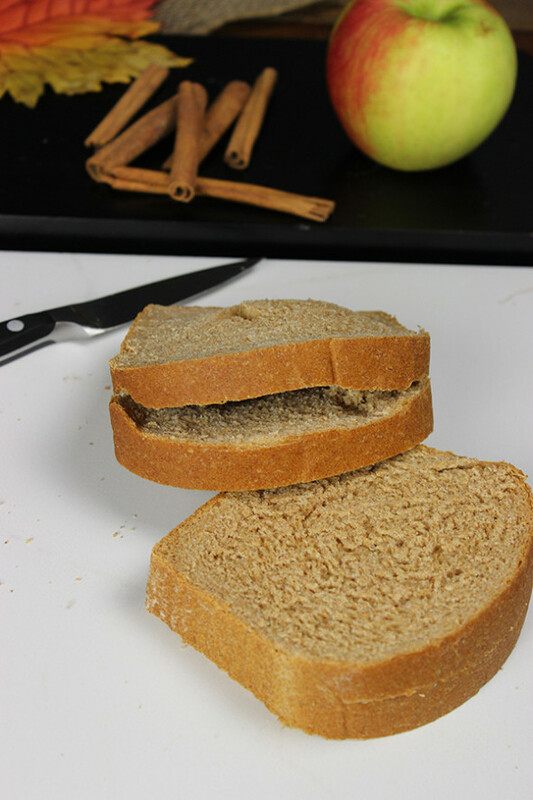 Several weeks ago, I came across the idea of using an extra-thick slice of bread and cutting a “pocket” into the center for the filling. Let me tell you…this worked great! I found that it was easier both to cook and serve this style of stuffed French toast. Just don’t cut all the way through the extra-thick slice of bread. And also make sure to not cut the slice too thick, or else you might have a hard time cooking your French toast all the through. In a medium saucepot, add the water and bring to a boil over medium heat. Once water begins to boil, add apple mixture to the saucepot and return mixture to a boil. Reduce heat to medium-low, cover, and allow apple mixture to simmer for 8-10 minutes, or until apples are soft. Uncover and allow mixture to cool. Combine all of the batter ingredients in a small bowl and whisk until well combined. Pour into larger, square pan (to make it easier to dip the bread into the batter). Fill each pocket with approximately 1/2 cup of apple pie filling. Heat a griddle or large saute pan over medium heat. Add small amount of butter to pan to prevent toast from sticking. Carefully dip both flat sides of the bread into the batter. Place bread in heated pan and cook on medium heat for 3-5 minutes per side, or until bread is golden brown in color. I love love love stuffed french toast. 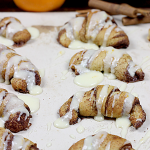 This is such the perfect fall weekend breakfast! I even have everything I need to make this amazing treat! Thanks so much, Vicki! 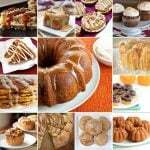 I love everything about Fall…especially the baking! This is (slightly) off topic, but when I used to do cake decorating, I would use apple crisp as the filling! A “cinnamony” surprise!